I took blueberries to the wild side yesterday, by combining them with non typical ingredients to create an extraordinary appetizer for entertaining. I know you're probably thinking "Blueberries and Chicken Sausage, Ewww! ", but surprisingly enough, the ingredients complement each other's flavor profiles rather well. The main ingredient is a gourmet and organic chicken sausage by Aidell's, that I happened across in the supermarket. They were quite expensive at $6 for 12 oz., so I wanted to make the most of the protein, and prepare it in a manner which many can enjoy the small amount. The sausage is flecked with mango, jalapeno and cilantro, so I wanted to match the sweet/spicy interior with a sauce or glaze-like element to bring out components without being sickly sweet to unappetizing. Wild Blueberries are not really sweet Per Se, so I could manipulate them with a few ingredients to give them directional purpose, that is complementing the mango in the sausage and creating the idea of a blueberry filling that would be consistent with a savory tart, even though it would appear to be a sweet one. I actually added Agave nectar to impart a subtle sweetness and to offset the spicy aspect of the jalapeno, making it kid-friendly. 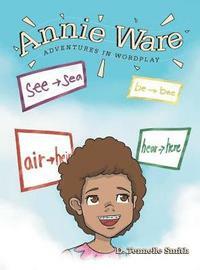 I received positive reviews even from my 4 year old, and the adults enjoyed the outcome a well. This recipe was fun to prepare and is a great way to get the conversation going at your next get together! Unroll pie crust and using a cutout the same size as the diameter of a shot glass, make 24 circles to press into an ungreased mini muffin pan. Bake until golden, about 4 minutes, remove from pan to cool. drizzle pan with olive oil and add sausage pieces. Brown on both sides, until golden, about 3 minutes. SPST. While sausage is browning combine blueberries with remaining ingredients in a small bowl and stir to combine. Pour over sausages once browned and bring to boil, tossing to coat. Once sauce has thickened, remove from heat., about 15 seconds. Assembly: Nestle a sausage bite into each tart-let shell and distribute the blueberry compote equally among portions. Garnish with parsley or cilantro. I want to give a huge HAPPY BIRTHDAY TO MY BABY GIRL BRONWYN, WHO TURNED 5 TODAY!! MOMMY, GENESIS AND THE WHOLE FAMILY LOVES YOU BABE! Panza de Res y Chile Ajo! Sunday was a 'lab' day for me as I like to call them. Lab consists of going into the kitchen to try creating something out of my comfort zone and expanding my horizons and knowledge of the cuisine of different cultures. Sunday was exploring more traditional Mexican cuisine outside of the 'cookie cutout' of simply tacos and guacamole. I had never made a mole or any of the labor intensive and complex sauces, so I had an adventure in preparing a traditional Red Chile and Garlic sauce, normally seen smothering enchiladas and topped with Cotija and sliced onion. I adapted the recipe from Saveur issue #149, graciously shared by a chef at El Naranjo in Austin Texas . Instead of using Serrano chiles, I used Thai chilies for a deep heat flavor profile, and instead of plum tomatoes, Roma. The sauce took about 2 hours to make, but when I finished, I could smell and taste it's signature smoky complexity, which I'd experienced in dishes from Mexican restaurants in the past. The aromas and the gorgeous color was satisfaction enough! I paired my sauce with Panza de Res or Scalded Beef Tripe. I boiled the tripe in a seasoned broth for about 2 1/2 hours to tenderize and create depth in the flavor. I then cut the tripe into large strips, and in turn , smaller strips, until they were uniform and about 2 inches long and 1/2 inch across. I breaded and deep fried the strips and served them with the Chile Ajo and lemon wedges for an appetizer presentation, then with seasoned Jasmine Rice as a main course. Both dishes were Crazy Delicious!! Don't be afraid to step outside the taco shell 'box' and go for the hearty, soul stirring heart of more diverse dishes that truly reflect the essence of Mexican Cuisine!! This recipe exhibits the versatility of the meatloaf. There are a plethora of ways which they may be prepared with unlimited ingredient choices. I like this version which includes good quality ground beef and pork, and pepperoni crisped in the microwave to resemble bacon crumbles. Additionally, I really load this one up with fresh veggies, herbs, and fresh bread crumbs that lend to the confetti moniker. My daughter Genesis really loves it too. That was my inspiration for writing this recipe to share with others. This meatloaf makes for great sandwiches later hot or cold and reheats very well covered with paper towels in the microwave. In a microwave safe bowl, combine carrots, celery, onion, garlic and peppers. Drizzle with olive oil and season lightly with salt and pepper to taste. Microwave uncovered on high for 4 minutes. Set aside to cool and preheat oven to 375* F.
Place bread torn into pieces together with parsley, thyme and crumbled bouillon cubes into food processor and pulse until mixed evenly as possible and are of a fine consistency about 2 minutes. In a large mixing bowl, combine beef, pork, pepperoni, cooled vegetables with liquid, bread crumbs, spaghetti sauce and sriracha and with a large fork, fold and stir until well combined about 4 minutes. In a roasting pan, shape meatloaf into oblong fashion to fit pan. If desired, make a small crease down the center of meatloaf to help funnel oil off top and into pan. Bake for about 40-45 minutes or until internal temperature reads 165*F.
During the last 10 minutes of cooking, baste with glaze every few minutes until none remains. Remove from oven and allow to rest for at least 30 minutes before serving. This recipe was originally posted in my on line cookbook at cookeatshare.com. I wanted to share it here for those who cannot access that site and because of the wonderful complement I received from a member in the U.K. This recipe is shown here with slow simmered peas and corn with country ham bits and homemade baked macaroni and cheese. Blue Plate Special indeed!!! Let the Church Say RAMEN!! Today's blog is yet another installment of the Dormitory Gourmet featuring quite a find at the Dollar Tree. Within the frosted glass cases that are the frozen foods section, I found some fresh frozen Pollock in 4oz. portions for only a dollar!! I thought it would be nifty to pair these somehow another inexpensive item that can also be obtained from the same location and turn them into something wonderful. All in all, the recipe costs under 2 dollars to create and the taste is deliciously well balanced and helps to load up on heart healthy omega 3's. The package includes 2 -2 oz. portions of the firm white fish, wild caught and flash frozen to retain it's nutrients. I pan seared these fillets in a drizzle of olive oil and Plugra, a European style butter, but feel free to use regular salted or unsalted butter, the choice is yours. They may also be broiled for several minutes to trim the excess fat if desired. The seared fillets are then placed atop a crispy and amazingly yummy fried Ramen pancake, riddled with thinly sliced red and orange mini-peppers for a splash of vibrant color and Vitamin C, plus a spectacular dose of B vitamins! The finishing touch is a simple onion and garlic spaghetti sauce to round out the flavors and add more depth. With a sprinkling of grated Parmesan cheese, this dish is fit for a knife along side the fork.!!! Prepare the Ramen using half the amount of water and half of the seasoning packet. Add the sliced peppers and cover to steam through. Once all ramen are softened, drain in strainer and set aside. In a small saute or nonstick pan, bring up to medium high heat. Pat noodles dry and drizzle pan with olive oil. Place sauce in microwave for 2 minutes. Place noodles in pan and press down with a weight or another small cast iron pan. Cook until golden then flip and repeat, about 4 1/2 minutes. Drain on paper towels. Meanwhile, bring another small pan up to medium high heat and add butter and a drizzle of olive oil Pat dry and lightly SPST fish on both sides. Place in pan and sear about, flipping once until lightly golden, about 1 1/2 minutes on each side. Place noodle cake in center of plate and arrange fillets atop. Serve sauce on or alongside dish. Garnish with fresh herbs and Parmesan cheese if desired. Warm and Cozy Foods on Dreary Days! I prepared some Deep Southern Comfort Food today, Slow Braised Pigs' Tails with carrots, celery and onion. The wonderful smell of the mirepoix has settled since I started cooking them around 8 am. My emacculate blue Le Creuset French oven pumps amazing aromas throughout our home like a culinary choo-choo train and beckons to the senses, as a bee is beckoned to, by the nectar of dew kissed flowers. This I must admit will not be an exciting meal to some, and by no means should be eaten regularly, but these puppies are hard to find and well worth the wait. The flavorful unctuous broth is super with bread, today it's paired with another recipe of mine Big Ole Southern Biscuits with Flax Seeds. DELISH! There is comfort in slow cooking foods, there is comfort in knowing you have prepared a recipe so many times, you can do it virtually blind-folded, and there is comfort in knowing that even though you may not get to take a nap for several more years, when you sit down to dine on whatever your warming, cozy meal is, your mind state will be altered, and just for a little while, nothing can rain on your parade!!! Summertime's Rainy Days are like Winter's Snow filled Days! My Sister Calls it Frog Bread!! Mushrooms are popular around the world and a must have in any serious cook's kitchen. There are around 20 cultivated mushrooms sold commercially . From the coveted truffle, to the sacred Matsutake, beloved by the Japanese, to the household familiar button mushrooms, we have made these fungi a part of our lives. Whether it's for nutritional, medicinal or for ritualistic purposes, mushrooms are a universal commodity that have origins dating back 13,000 years ago in Chile, and have affiliations in China as far back as several hundred years B.C. Not only rich in B vitamins, namely niacin and riboflavin, mushrooms are also at the top of the list of foods providing uber amounts of protein, even more so when dried! Today's recipe, features Baby Bella's, which are the younger and smaller version of the the beautiful Portobello mushroom, which is respected highly among the vegetarian community for it's 'meaty' texture and protein. My sister Brenda is not a fan of mushrooms in any form, especially if she can see it. She comically refers it as "Frog Bread", because it reminds her of lily pads or other things which frogs perch on and hide under!LOL Brenda is so funny!! This recipe uses lots of fresh ingredients and wonderful flavors that complement this mushroom well like mini peppers, onion, spinach, Pecorino Romano, and spicy sausage. They are fabulous for entertaining, even for a small and humble affair like a weeknight dinner. They are easy to prepare with major flavor reward. I hope you enjoy this recipe as much as my family (excluding Brenda :) did! Place peppers, onions and sausage in small bowl and drizzle with a scant amount of olive oil and SPST lightly. Microwave on high, uncovered for 2 minutes. Set Aside. Meanwhile, combine spinach, cheeses, and bread pieces in a medium bowl. Drizzle with olive oil and SPST. Add pepper mixture and stir until combined. Stuff mushrooms with filling and arrange on baking sheet. The sizes will vary so stuff according to individual size ratio. Divide remaining cheese atop filling. Place in oven and cook until cheese is golden, about 8 minutes. SPST and garnish with a little olive oil. Makes about 12 mushrooms or 4 appetizer servings. I am a big fan of Jerk seasonings and the like. I was really introduced to a barrage of Caribbean and other Island fare from some of dear friends in college. They enlightened me to a whole new world of flavors and especially spices of varying heats and complexities. Jerk chicken and pork are amazing dishes with such complex flavor profiles, and a variety of sweet, salty and savory combinations. To stay true to form, one must include two principle components, allspice and scotch bonnets. If you cannot obtain scotch bonnets, which happen to be one of the highest on the Scoville scale, you may substitute with habaneros, which are one in the same. Other commonly used ingredients include cinnamon, brown sugar, nutmeg, garlic, thyme, green onions or scallions, cloves and salt. The sweet and heat contrast is what gives 'Jerked' proteins and vegetables their luminosity! The method of cooking is also referred to as 'jerk'. This involves cooking the chicken in a halved, hinged, grated and aerated steel drum, filled with charcoal or other wood for fuel or fire pits that have been dug into the ground. The meat is rubbed with a thick spice paste, marinated, ,and slowly smoked, while piercing the meat continuously to help spices permeate throughout or 'jerking', and cooked until tender. Jerk style seasoning and cooking is not unique to Jamaica alone, as there were references made to it predating slavery in African history. Jerk cooking has been utilized in Jamaica for over 2500 years ago, but is also highly favored on other Caribbean Islands. The jerk spice rub I came up with is a combination of Latin and Caribbean flavors and ingredients including cilantro, radishes, orange juice, several types of peppers, Agave nectar and a couple of acids including white wine vinegar and limes. These cultures have influenced one another and the complex flavor profiles are present in both. I tried my jerk rub with several different mediums including chicken cutlets, chicken wings and some beautiful thick cut, bone in pork chops. They were all delicious, but I favor the chops most. I used a stove-top grill pan, but I fully plan to use charcoal next time as the essence of the jerk art form truly requires. The smokiness would complete the taste-bud matrimony that is this dish!!! From kitchen to kitchen, many of us have our own renditions of a guacamole dip. As long as the key components, avocado, lime or lemon juice, onion, and garlic are involved, there is no wrong way to procure this popular Hispanic dish. I must admit, the first time I tried Guacamole in high school, I was not in the least impressed. In my adult years however, I revisited the green beast, and became acclimated with the wonderful balance involved in making this dish a success for me and my family. Also, I wanted to include as many beneficial ingredients as possible to get the most out of the high but healthy fat content of the avocados and introduce a measure of crunch in addition to the crispness of the chips with which they're consumed. The main ingredient in guacamole is the avocado, which is actually a fruit from the berry family. Avocados have origins as far back as 900 a.d. The Aztecs called the avocado "ahuacatl" or testicle for obvious reasons. They used avocados for aphrodisiac purposes, as well as for fertility rituals. The early English called it the "alligator pear". The most popular avocado is the Hass, whose first seed was planted in California in the late 1920's, by a man named Rudolph Hass, hence the namesake. This particular avocado is also popular because it can be grown year round. with depth and match the flavor profile of 'traditional' guacamole and loads more! 4 Roma tomatoes, seeded and chopped, about 2/3 c.
Place avocado in bowl and toss with juice of lime, mashing a few with a fork to create a little creaminess. Add remaining ingredients and drizzle with olive oil. SPST. Toss until coated and fold until well blended. Let flavors marry for about 5 minutes, then serve or refrigerate until ready to use. This recipe would be great on toasted crostini as well! This installment of the Dormitory Gourmet consists of ingredients that can be deemed high end. The recipe is super simple and the flavors of these choice items really complement each other very well. I had some Cambozola cheese I had purchased as a part of my discovering new and delicious things to experience and share with my family and friends. Cambozola cheese is a German cheese made with Bavarian Cream and has origins in the early 1900's. This beautiful cheese is described as a cross between Camembert (creaminess) and Gorgonzola (tangy, blue veined) cheese. It is a French influenced triple cream ripened blend with amazing blue veins that is rather unique and has a pungent and salty goodness that pairs exceptionally well with roast beef. Cambozola has been referred to as "blue brie", being neither blue nor brie. I also found that this cheese is well suited with the Sprite Melon and other sweet fleshy melons like honeydew and cantaloupe. Beef flavored Ramen noodles provide the base for this delectable creation and the cheese when melted, adds a slight creaminess to the broth when stirred. The slivers of deli sliced roast beef add meaty yet not overwhelming heartiness to the noodle bowl, and drizzled with good quality olive oil, is quite a gourmet affair in itself. Cambozola cheese may be found in supermarkets with a gourmet cheese section and runs $20 a pound. The taste is incredibly addictive and certainly worth it, even if you only buy a portion of the pound as I did. A little goes a long way! The roast beef in this recipe is of the rare, cajun spiced breed and is also delicious with crusty breads, tomatoes, oil and vinegar and exceptional olive oils. Prepare noodles according to package instructions. Pile roast beef in center of bowl and crumble Cambozola atop. Microwave for 30 seconds to start melting the cheese. Drizzle with olive oil and SPST. Serve immediately! New Food Finds by Word of Mouth! With all the technology at our fingertips today from computers to 4G speed phones and even billboards, word of mouth is still one of the most effective ways to 'spread the word'. Granted once it is spread by mouth, it will then be expedited via the previous methods mentioned. My sister Linda told me about some clam strips she'd run across in a Dollar Tree, that's right, not the Dollar General, which has low prices, but everything is not necessarily a dollar. 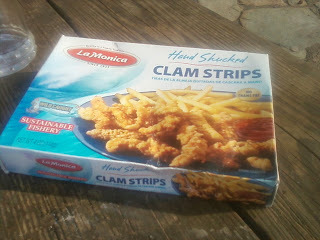 She commented that the clam strips, when prepared according to the directions on the box, were magnificent! I saw some yesterday in a dollar store in Danville, and picked up a couple boxes for myself. I believed her from the start and when I tried them today, they were everything she said they would be and then some. I was amazed at the freshness and tenderness of the clams. They were truly restaurant quality and only one dollar. A company called La Monica produces these gems and has put out several items since 1923. A man by the name of Pietro or Peter La Monica started with a seafood shop and has become the largest "Hand Shucking" clam operative in the U.S. It's definitely a diamond in the rough! La Monica makes many other products, but I haven't tried the others yet, but I am sure that if they're anything like these clam strips, they 're super awesome! The Dollar Tree is pretty amazing in itself, because some of them carry a frozen foods section. Among the frozen foods are breaded chicken products, fresh frozen chicken thighs, ribeye steaks, lobster sliders, heads-on shrimp, and various breakfast items like turkey bacon, breakfast burritos and sausage links and crumbles. The variety these stores provide these days is godsend, especially if your budget get tight, and prices are sky high everywhere. It's good to know you can still have your 'steak'and eat it too! Surf and Turf for 2 bucks is hard to beat! I absolutely adore supermarkets. When permissible, I will spend extensive time there, checking out new products and items, especially in the produce department. I make it a point to read the information posted on the vegetables and fruits that are unfamiliar to me. Additionally, when my budget allows, I purchase the item and do my own flavor profile to lock into my mental Rolodex. My first job was in a supermarket and became my beginning registry for the copious amounts of fruits and vegetables that I can recite to this day. On that note, I visited a Kroger in the SML area the other day and became familiar with yet another member of the melon family, The Sprite Melon. This fruit has origins in Japan and has been successfully cultivated in our own backyard of North Carolina since the early 1990's . When ripe, this fruit is about the size of a grapefruit. The flesh of this melon is ivory to cream and can become a pale yellow with striations and mottling on the outside when fully ready to consume. The striations are caused by the sugars within the melon that are approximately 18% percent higher than that of other melons. The Sprite Melon has 150% of the daily allowance of Vitamin C per serving and no calories from fats. The taste is said to resemble a cross between a honeydew and a watermelon, and some suggest a hint of pear. The flesh is quite firm with an almost crisp, crunchy bite like that of an apple. The particular fruits I tried, were very reminiscent of just that. The sweetness was not as pronounced, but it also lacked the tell-tale mottling on the outside. This fruit is generally served as a dessert and it's size makes for convenient servings for individuals. My family really enjoyed the Sprite Melon, especially Genesis my 6 year old. I certainly did and found it paired exceptionally well with Cambozolo cheese, with which I used to create the following recipe. The freshness of this salad is impeccable, showcasing this melon and other fabulous vegetables with delicate as well as bold flavor profiles and a citrusy vinaigrette! If you don't get a chance to try the recipe, please don't miss the opportunity to try this melon as is, it will lift your spirits in a Spritely fashion! juice of 1 large lemon, about 2 tbsp. In a cast iron skillet over medium high heat, saute Pancetta until golden, about 4 minutes, and add shallot. SPST. Saute for 1 more minute. Turn off heat . In a medium bowl, add asparagus, zest of lemon, about 1/2 c. Sprite Melon flesh chopped (from the hulled out portion), and vinaigrette, that has been combined in another small bowl. Toss until well coated. SPST. Toss with Pancetta and shallot mixture. Spoon into Sprite Melon bowls. Divide cheese equally atop the two salads. This salad is presented in two bowls or 1 melon because that is all I had available after the taste testing and subsequent consumption of additional 'bowls'. For presentation, serve in 4 melon bowls that have been de-seeded, but NOT HOLOWED out as the melon will create an appealing border around the asparagus salad and the fruit may be scooped out afterwards with a spoon by the person eating. Use the fruit of a 5th additional melon to provide the portion for the recipe. This makes for a gorgeous first course salad in 4 bowls or 2 main course salads if you follow the recipe above. While scouting about in the Smith Mountain Lake Area the other day, I came across quite a jewel. Cancun Resaurant was located in a plaza with some other professional buildings and businesses. The restaurant itself was decorated in a wonderful Latin theme with brilliant colors similar to that of a summer's sunset in the desert. The festive music was in harmony with the bold and decadent aromas wafting from the kitchen. The staff was amiable and service was prompt. The bar was stocked with a myriad of beers and wines, both foreign and domestic, along with a vast array of mixed Latin style drinks like 5 flavors of Margaritas, 7 types of Tequila, and 25 oz. Micheladas, which are a popular Mexican beer beverage said to be good for hangovers! The menu is extensive and numbered for ease, in case your Spanish is a little rusty! There are numerous lunch specials and items offered a la carte for building your own combination plates. I ordered from the mixed section or recipes offering one than one type protein like chicken and/or beef or shrimp. I also ordered from the a la carte menu. For the main entree, I ordered the Enchiladas Rancheras, which is 2 beef and 2 chicken enchiladas topped with a Poblano Mole sauce, and garnished with cheese and onions. I also ordered a chicken tamale and a Chile Relleno. The tamale was supple and delicious in it's simplicity. The spices were as not to overwhelm the palate and the flavors of the meat filling and the corn meal casing meshed very well. The tangy sauce covering the tamale was a brilliant red and enough to dip each forkful into the savory deliciousness. The Enchiladas Rancheras was my least favorite item, but I did prefer the chicken portion more than the beef. I feel that I would have enjoyed it more if the Mole Poblano was a little spicier and the spices more pronounced instead of somewhat dull and muted. Overall, I did not dislike the dish, but I think I could recreate it at home more to my own personal flavor profile. Last but not least was the Chile Relleno. After one bite, I instantly wished I had ordered 3 more minimum! The flavors were alive and robust. The chile was stuffed with shredded beef and cheese, dipped in egg, fried, and covered with a glorious red sauce. The spicy filling and the Poblanos were chock full of smoky flavor components and the tastes that to me showcase Mexican cuisine at it's best. Every order comes with super fresh salsa, with lots of garlic and cilantro, and fresh tortillas for dipping. If you happen to be in the Smith Mountain Lake area and want some Authentic Mexican fare, especially a dynamite Chile Relleno, stop by Cancun feel the love!